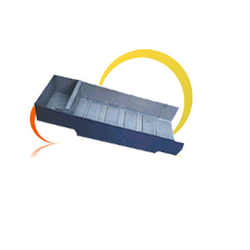 Pioneers in the industry, we offer channel magnet from India. With firm commitment to quality, we are manufacturing and supplying our clients with Channel Magnet. These magnets are widely used in various industries for eliminating iron from less strongly contaminated material and free flowing granular materials like rice, flair, glaze, slip, glass and mineral powder. Apart from this, we utilize quality packaging material to pack our products for assuring safety during transportation. Looking for Channel Magnet ?